A business branding package consists of your name, logo, and your unique selling point (USP) that sets you apart from others in your market. It helps prospects and customers connect with you. Your logo represents your company. A unique, well designed logo sets you apart from your competitors. Before we design a logo for your company, we’ll want to learn about you, your mission, and the types of customers you want. We also provide several versions of your logo so it can be used not only on your website, but on signs, stationery, business cards. An ad in the phonebook is an effective way to get leads from you local market. While there is a decline in the percentage of its usage, the phonebook is not dead. There is a demographic out there that uses the phonebook that you can capture. With most ads being black & white, we’ll make the most creative design that will draw your prospect in and do what you want them to do – pick up the phone and call you. If you have a mobile business, such as car detailing, catering, cleaning service, computer repair, disc jockey (DJ), lawn care, appliance repair, pet grooming, or photographer, you’ll want to use your vehicle as a moving billboard. A car wrap or effectively placed decals with your company name and contact info are a great way to let your clients’ friends and neighbors know that you are available to serve them, too. Sitting at a red light on your way to an event will also get the word out to new prospects. Tip: As a minimum, have your company name, logo, phone number, website and type of business displayed in a font that is easy to read. You might have just a few seconds to capture that lead. Where do your prospects drive everyday? 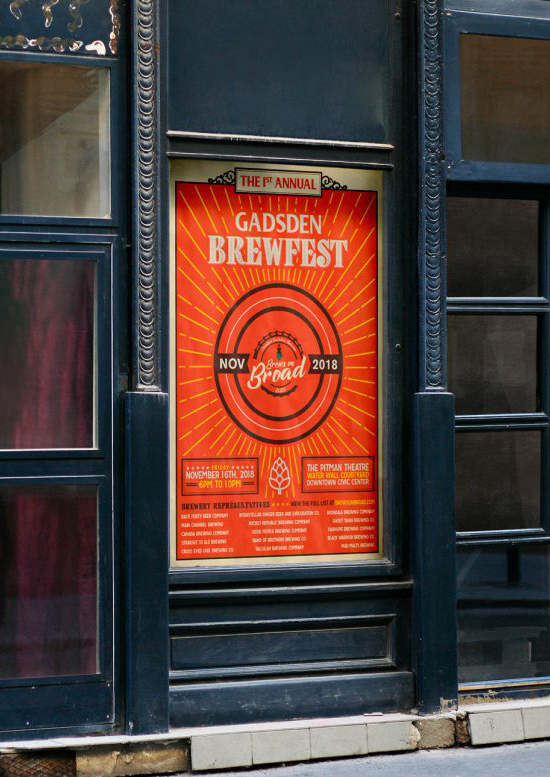 An effective billboard design (traditional or digital) will get the driver’s attention and leave a memorable impression with them long after they have driven past it. Simple – In this case, Less is More. Therefore, your message should be clear and brief. Word Usage – Short, simple words. Large, bold fonts such as Sans Serif. If your prospect is driving 60 miles per hour, they only have seconds to read your message. Colors – Contrasting colors improve readability. Best colors to use are black, white, red, yellow, blue. Black on yellow provides the highest readability. Avoid pastels and earth tones. Image – Use just one, large image, even if you have multiple products. It’s also better to take a small item and make it big (like a coin) than to take a large object (office building) and make it small. Contact Info – After your billboard has made a favorable impression, you have to provide a way for the prospect to contact you. Provide your phone number and website address. Call-to-action – You know what you want the prospect to do (call, visit, go to website), but you have to make it clear to them. Tell them what to do next. 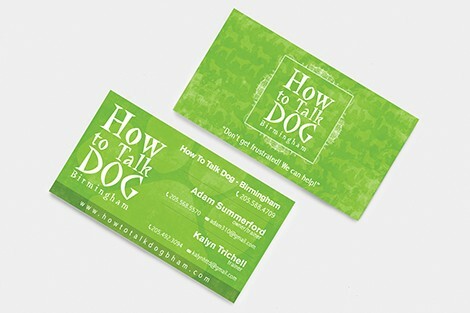 It’s good to have something you can give to a prospect at a meeting or trade show. 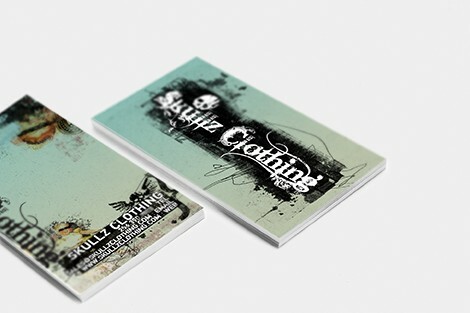 We can also create business cards, brochures and postcards. On the personal side, we also design wedding, shower and birthday invitations. Have an idea for your invitation, but need us to complete it? Here is an example of what we can do for you. 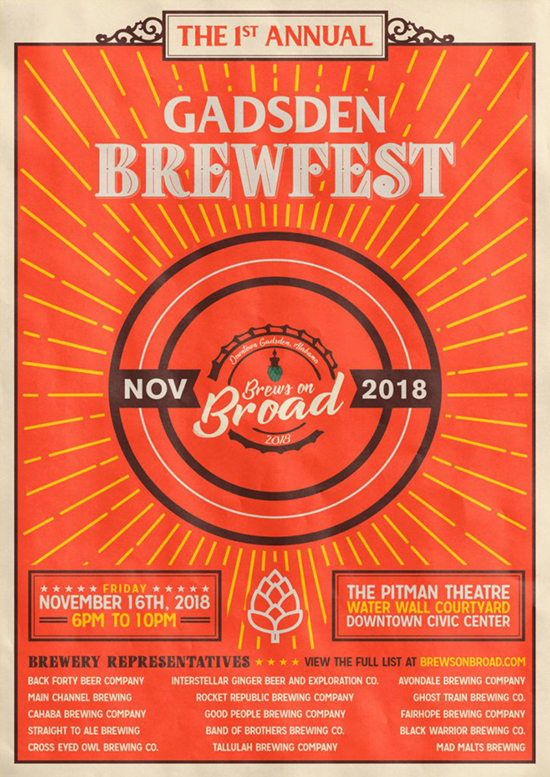 We’re proud to announce that our designer entered and won the design contest for the promotional poster for the 1st Annual Gadsden, Alabama Brewfest. If you need any promotional materials, from posters to flyers to social media graphics, we’ll be glad to assist you. Don’t hesitate to contact us for a complimentary consultation and quote. We work with businesses and organizations that want to elevate their brand and maximize their online presence.